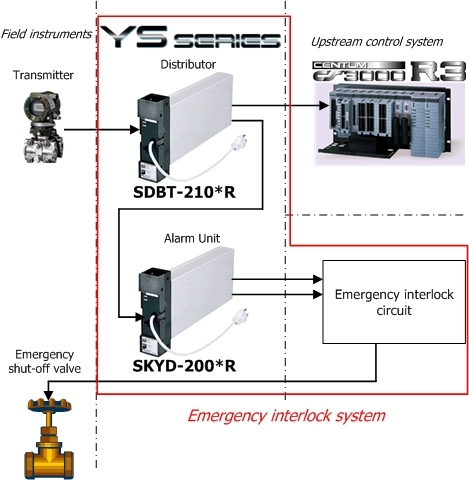 The YS80 Rack Instrument is currently a part of many emergency interlock systems, and has had great successes. Even when converting these existing control systems to DCS, you can continue to use the YS80 Series Rack Instrument by simply upgrading to Style R, the YS80's successor. The I/O specifications, terminal arrangement, and outer appearance of Style R of the YS80 Rack Instrument are completely compatible with the previous model. The YS80 Rack Instrument can be upgraded without changing I/O terminals by simply replacing internal components, thereby reducing rework time and expense.